What does it mean to be “Special”? Let’s start by defining the word first. As an adjective special means: “Better, greater, or otherwise different from what is usual.” It’s easy to say that this definition applies to Jose Mourinho for a few different reasons. The simplest way to judge who is better than whom is to start with the main objective of any manager: winning. End of the day whether you are trying to win a championship or trying to stave off relegation you must win games or you won’t be in a job for very long. So when we consider winning as the first defining category, how does Jose Mourinho rank amongst his counterparts? If we take Mourinho’s career from 2000-2013 as a manager, he has presided over 635 games and won 430 of them giving him a win percentage of 67.72%. Rafa Benitez with whom Mourinho has traded numerous insults has a 50% win rate throughout his career. Unlike Mourinho, he had to cut his teeth at lower level teams and work his way up the managerial ranks more so than Jose so we will give him the benefit of the doubt. In the same time period (2000-2013) Rafa’s win percentage is 55%. Carlo Ancelotti who has won 2 Uefa Champions League titles and league titles in Italy, England and now in France with Paris Saint Germain has a win percentage of 58% between 2000 and 2013. The final manager in the same age bracket with the same amount of managerial experience is Roberto Mancini. Mancini, has a 56.31% win percentage across 4 clubs in Italy and England. Managers like Sir Alex Ferguson, Arsene Wenger, Juup Heynckes, Louis Van Gaal, Marcello Lippi, Fabio Capello, etc aren’t up for comparison due to the length of time they have been managing teams (all since the 80s at least). We will compare Mourinho to them when he has reached the same amount of time in management. His greatest adversary in management has to be Pep Guardiola. It will definitely pain Mourinho that since 2008 that he has been overshadowed by Guardiola although Mourinho has had some very significant victories over Pep. Still, Pep’s win percentage is 71%, we expect this to stay consistent as he takes over the world’s best team in Bayern Munich. As far as Pep is concerned, there’s a long time before we can define his footballing legacy. The other thing that makes Jose Mourinho special is that he is different than usual. His style is like no one else in the game. Managers are supposed to have a certain distance from their players but not Mourinho. He celebrates with them, he goes to war with them in every match and he has built a brotherly bond between himself and most of his players. Some younger managers are adopting this style but Jose was the originator. 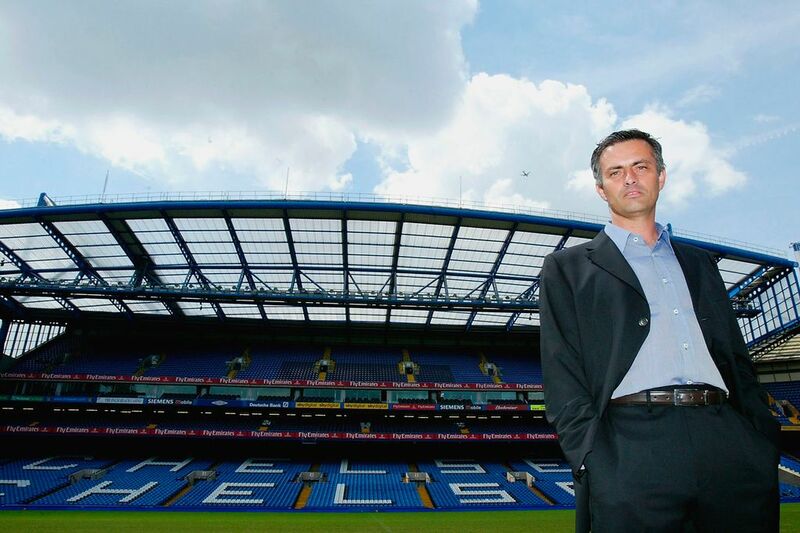 Other managers take a lofty viewpoint from the dugout but Mourinho is in the trenches with his warriors. As a result most of his players will run through a brick wall for him if he asked them too. Most coaches wait until at least half time before they make their substitutions, but not Jose. If you don’t put in the effort or the quality of performance that Jose expects you will be substituted immediately and embarrassed. Just ask Ashley Cole and Shawn Wright Phillips who were both substituted after 23 minutes of an EPL game in 2006. No manager has ever sent a substitute on with a tactical note for a captain to read then discard. He broke no rules but it was controversial, brilliant and different. In England he became a media darling because he was different from everybody else. His press conferences were always entertaining and he always gave the media brilliant sound bites to drool over. The english media couldn’t get enough of Jose. Managers mouthing off at each other was nothing new but Jose took it to a different level. He even had a go at Ballon D’or winner and his future player Cristiano Ronaldo after receiving criticism from the forward. Jose Mourinho’s time at Real Madrid may be seen as a mixed bag but without him it is clear that Real Madrid would never have come close to a Barcelona team known to many as the best team ever. In his first season there, Jose won the Copa Del Rey and in his second season he won the La Liga title with a record points total. After taking the league title many thought Jose could do no wrong. Unfortunately for him dressing room squabbles and pressure from the board caused the team to underachieve and Mourinho’s position became untenable. His insults to other managers were not as well received in Spain as they were in England where insults are part and parcel of British humor. In Spain he was seen as arrogant and second to the devil himself. Poking your rival’s assistant manager in the eye won’t do anything to help one’s image. In Spain, Mourinho was seen as different but different wasn’t accepted; it definitely didn’t make him special. In fact, many would have used a different definition of special to describe him in Spain. One that would have seen a therapist assigned to him. As Alex Ferguson has retired, Arsene Wenger’s Arsenal continues to find itself and Roberto Mancini has been dumped by Manchester City, the league needs another breath of fresh air and that will only come from Jose Mourinho. Manuel Pellegrini might be new to the league and of a high profile but he will never provide the level of entertainment that Jose Mourinho will bring to the league. Jose is a winner proving he is better than all of his counterparts with unorthodox and often infuriating style. 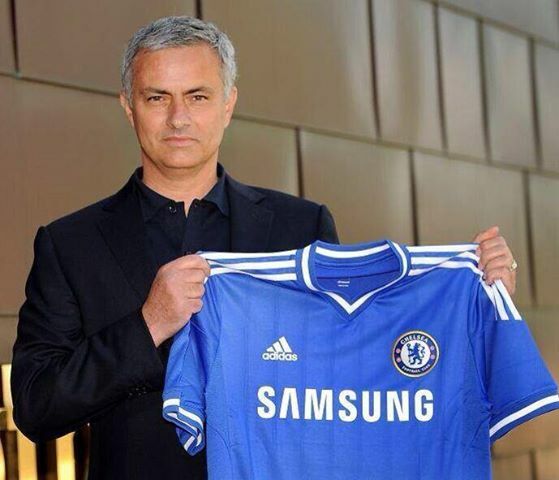 Whatever Mourinho says he has backed up and that truly makes Jose the special one. Ten years later his first quotable no longer seems arrogant, it is just the truth, pure and simple : “Please don’t call me arrogant, but I am European Champion and I think I’m a special one.” Yes you are Jose, yes indeed you are. Welcome back to the Premier League, we have missed you.